Add value and comfort to your outdoor area with our varied options. 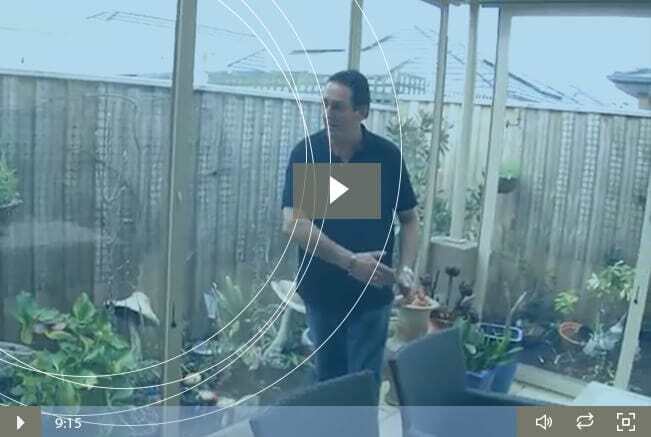 We specialise in creating an elegant and spacious look to your outdoors, designed with our Australian climate in mind, our products are designed for the harsh Australian weather. At Elite PVC, we will work with you on your project, be it residential or commercial, to create an outdoor area that will not only give you more living area all year round, but will enhance your outdoor lifestyle living and add value to your home. We stock wide range of alfresco blinds and screens that help to protect your outside area from all weather conditions, no matter the season. If you interested in investing in PVC Patio blinds, Ziptrak blinds or cafe blinds for your outdoor pergola, Melbourne’s best blinds experts are at Elite PVC! When you’re thinking about installing outdoor blinds, you can choose from a myriad of different materials. None will serve you as well as PVC, however. PVC has a multitude of advantages associated with it that make it a widely popular choice not only for blinds but many other applications as well. Let’s look a little closer at the advantages of opting for PVC outdoor blinds. PVC is incredibly affordable, which makes it great if you have a large area to cover or are simply looking to buy blinds on a budget. When compared to other materials that could be used for blinds, you’ll find that PVC gives you the most value for your dollar. When you hear that a product is cheap, you typically don’t also expect it to be very durable, but PVC is the exception to this rule. It won’t break or shatter like many other materials, and it can stand up to harsh winds and rain. 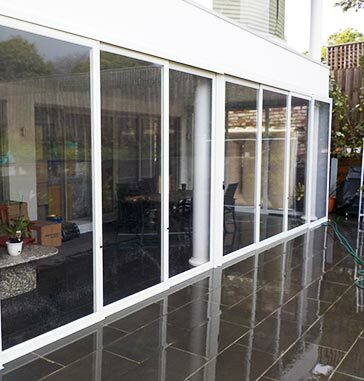 This makes PVC patio and outdoor blinds the best option for Australia’s varied weather. PVC can be used in so many applications because it is a very versatile material. It can come in a variety of colours and styles and is great for personalisation. No matter what your PVC looks like, though, it typically always looks great. If you’re looking for PVC outdoor blinds in Melbourne, or other products such as PVC cafe blinds, outdoor Ziptrak blinds or sliding door blinds, Elite PVC is the best place to get them. We have a fully stocked showroom that you can visit to see our wide range of products, and while you’re there, we will give you a free quote for installation. If you have a patio but never use it, you should consider outdoor blinds for your Melbourne home. Elite PVC Bi-Folds & Blinds has been providing local homeowners with high quality blinds and screens for almost half a decade. We have over 16 years of experience in the industry which has helped us develop a superior product. Combined with exceptional service, we have become Melbourne’s choice for outstanding quality PVC outdoor blinds. If you have not already, here is why you should consider PVC patio blinds from Elite PVC. One of the disadvantages of having an outdoor living space is the elements. An open area is subject to rain, wind, dust, and extreme heat. Our high-quality PVC cafe and outdoor blinds offer protection from the elements. You and your family and guests can be shielded from the sun and its harmful ultraviolet light. Our blinds will also protect you from nasty insects. When it rains, you can still enjoy time outside while shielded from the rain by our patio blinds. We manufacture your blinds in our factory and install them for you so that you can enjoy your outdoor space all year round. Our outdoor blinds can help you to improve the energy efficiency of your home and reduce your energy costs. In the hottest months of the year, your outdoor space can be opened up to help cool off the interior of the home and you may not have to run your air conditioning as much. The same is true in the colder months when your outdoor space can help to contain heat and reduce the amount of heat lost by the home. While you enjoy protection from our outdoor blinds, there are additional benefits. Your outdoor space most likely contains some furniture. Your outdoor chairs and lounges are subject to rain and the sun and colours will fade over time. Our patio blinds can help to extend the lives of all of your outdoor furniture. 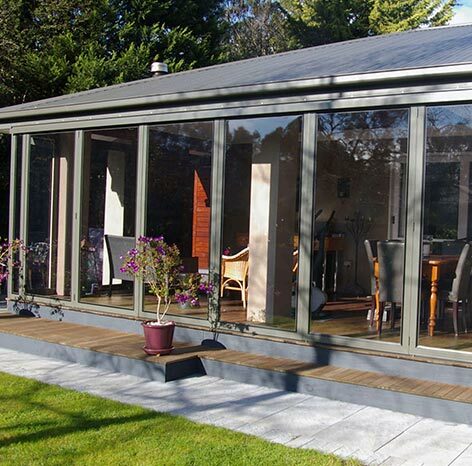 Elite PVC Bi-Folds & Blinds can help you make the most of your outdoor space. We specialise in the manufacture and installation of many different outdoor blinds. We work with you on a design that suits your needs so that you and your family can enjoy your patio all year round. With our experience in the industry, we supply and install only products of the highest standards. We also back our products with a 10-year warranty. 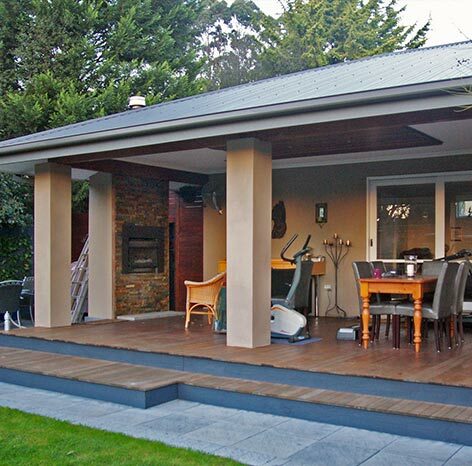 This allows you to enclose your outdoor area and use it during all seasons for years to come. You can choose from a variety of inserts including our new crystal clear membrane. Whether you want to enhance your home or business in Melbourne, outdoor PVC blinds are a great option that offer many benefits. A popular option for many homeowners in Melbourne, outdoor PVC blinds are a cost-effective alternative that offer protection from harsh weather conditions without hindering your enjoyment of the light and air. We produce high quality plastic patio blinds in a variety of colours, designs and styles to suit just about every customer! Pergola blinds not only look great but are also flexible and offer many positive features. Are you looking for optimal shielding from extreme Australian conditions? Our superior outdoor pergola blinds can seamlessly integrate into your home’s awnings and existing structure, while offering protection from rain, sun and wind. Our team of professionals have the unmatched knowledge and commitment to our customer’s needs and desires you can rely on. By cultivating professional relationships with the most renowned suppliers and manufacturers of PVC café blinds in Melbourne, our team delivers a comprehensive level of service no matter the home. Thanks to our wide range of outdoor PVC blinds for Melbourne homes, you will be able to find the right weatherproof blind that matches the décor and design of your home perfectly. Whether you have a verandah, a pergola, decking, or any other type of outdoor entertainment area you want your outdoor space to be as comfortable as possible. Expertly designed, manufactured, and installed to your home’s specifications, our premium selection of PVC cafe blinds for Melbourne residents are durable enough to withstand even the harshest weather conditions. Clear plastic blinds protect you and your home from the elements, while allowing you to enjoy the view around you. 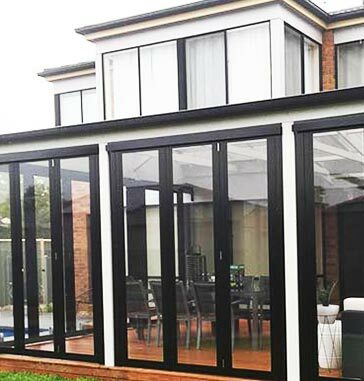 This is ideal for those who wish to entertain on their patios while taking in their natural surroundings, or who want to be able to see the landscape around them from within their home while remaining protected from the sun and rain. 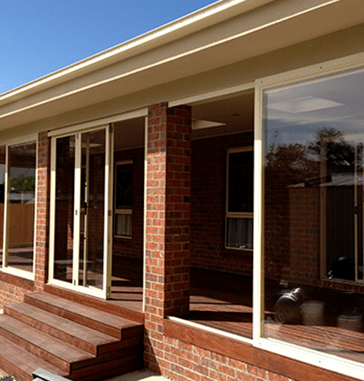 Elite PVC are some of the leading providers of plastic patio blinds in Melbourne, tailoring our solutions to each customer’s individual needs to ensure complete satisfaction. All our clear plastic blinds are made with PVC, the benefits of which we’ve already shared above. If you have decided to install plastic patio blinds in your home, or any of our other products such as pergola blinds, cafe roller blinds or outdoor screen panels, simply contact our friendly team today. With extended warranties available for parts and hardware, powder coated frames, and crystal clear materials you can trust Elite PVC to have your best interests at heart. To learn more about our range of PVC blinds, Melbourne residents can contact ustoday. 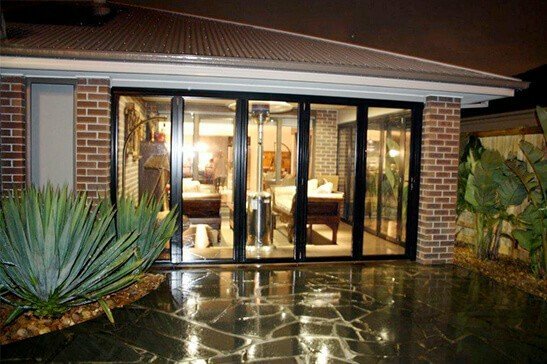 If you are searching for an answer to take advantage of your outdoor patio, contact Elite PVC Bi-Folds & Blinds today. Call us on 1300 ELT PVC or 1300 358 782 to speak with one of our friendly staff members and arrange for a free appraisal and quote. Take advantage of the protection, efficiency, and versatility of our outdoor blinds.